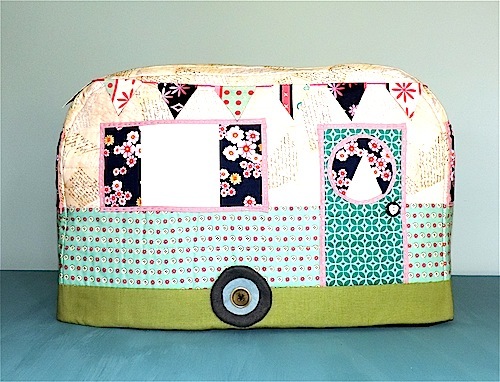 My biggest sewing project – finished! It seems like a long time since I’ve linked up Friday sewing finishes but this week I have finishes. 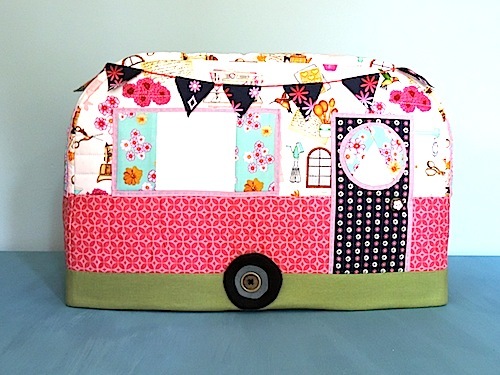 Then I was asked to re-do the tute using Home Sweet Home fabrics (by Dan Morris), to be included in a Craftsy kit (I will update when I have details of when this be be available) and that meant I had to make another caravan. So I made one, this time using a sample of Soft and Stable, which was kindly sent to me by ByAnnie with the request that if I loved it as much as they do I would recommend it. The Soft and Stable was very easy to sew and made the construction much easier and, whilst I was very unsure about whether it would be stable enough for the cover to be self supporting, once it was all sewn up I found it was just as rigid as the three layers of batting without the manhandling of all that wadding through the machine. So I’m very happy to recommend Soft and Stable. 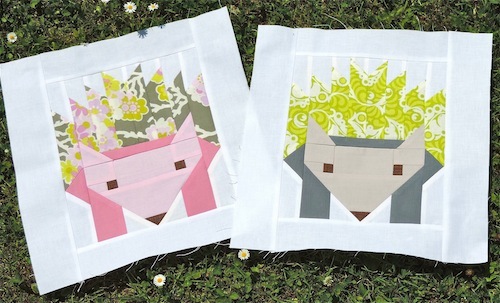 And last but not least, I have finished some Bee Blocks. 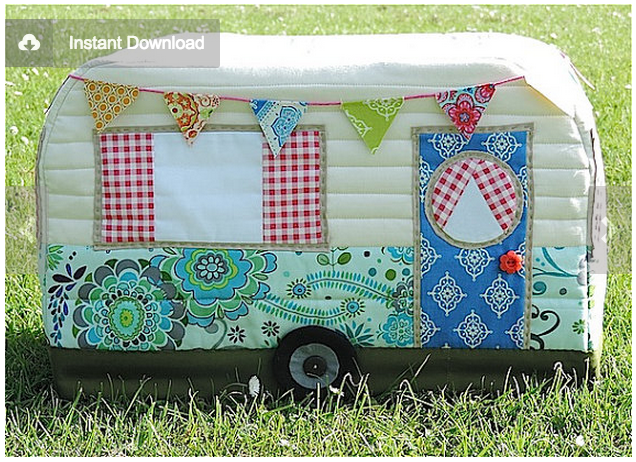 I’m linking this post with Crazy MomQuilts and TGIFF. 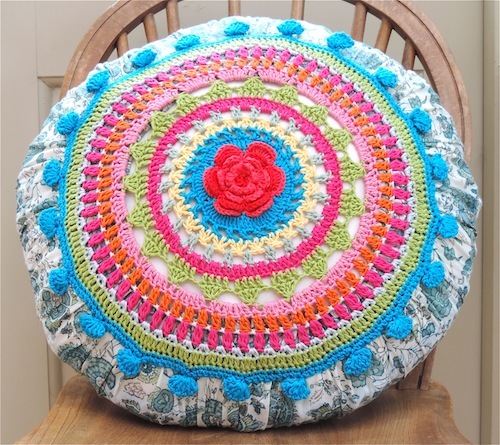 Have you linked up any new things you’ve tried this month with Fiona? 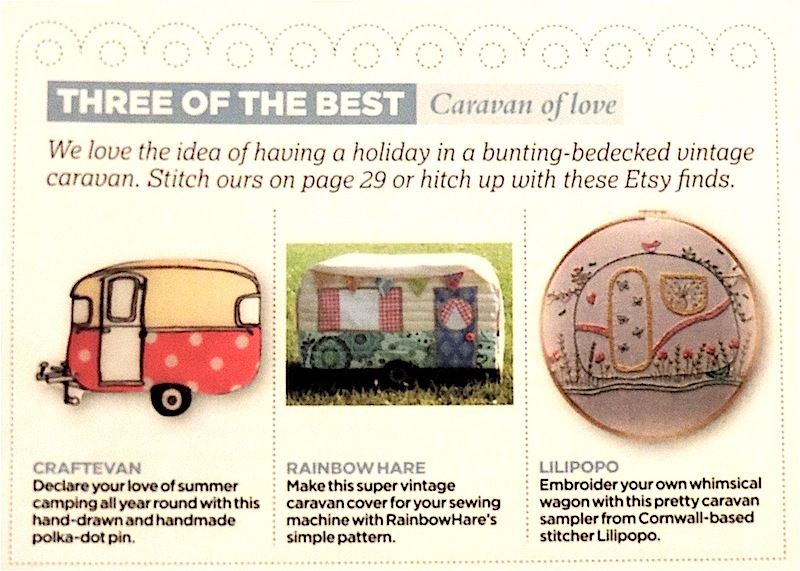 My most exciting ‘New to Me’ in May was having my Caravan Pattern featured on the News page of the June Edition of Cross Stitcher Magazine. 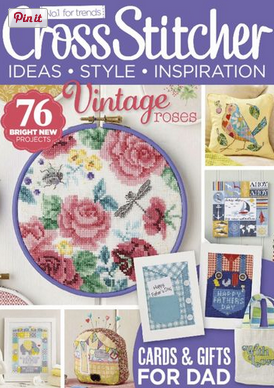 I was amazed when Katie Allen sent me an etsy convo asking to include it and, although I’ve got used to seeing my sewing on a computer screen, it was very exciting to find it in a ‘real’ magazine in a shop in our nearest town! I’ve also tried making several new things with mixed results. 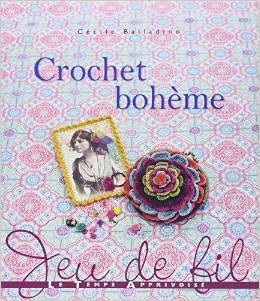 I made a cushion, blogged here, from this book by the very talented Cécile Balladino. 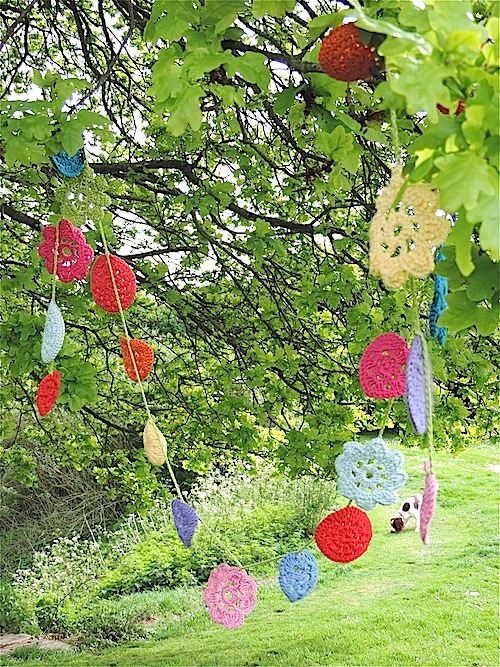 And some crochet bunting (something I’ve been meaning to do forever!) inspired by the same book. 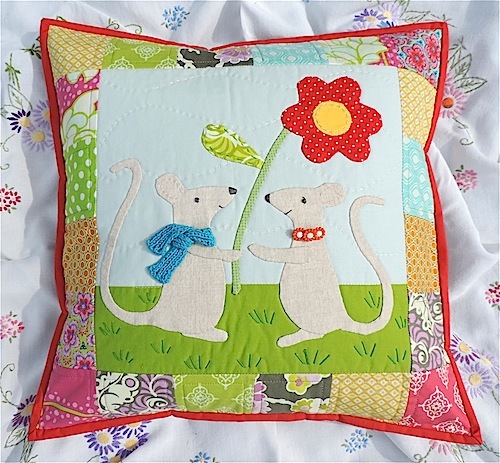 And I appliquéd some mice using Wash Away appliqué sheets. I’ve never tried these before sheets and I loved them. 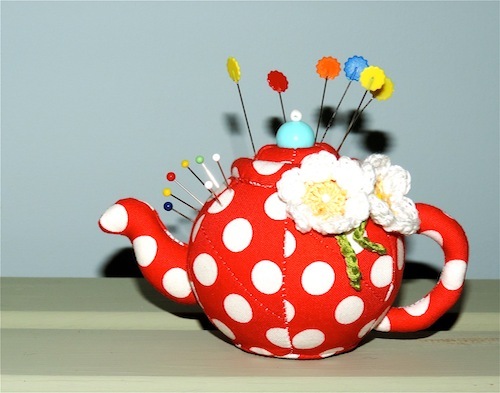 And I saw a sweet tea pot pincushion on pinterest from Join the Mood with a tute and an excellent tutorial by Manuela and I made one straight away – that’s definitely a first for me! 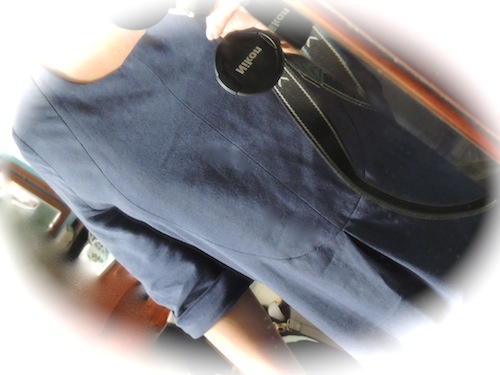 And, finally I made a dress using the Merchant & Mills (paper) Dress Shirt pattern. It has bib front panel, which is not something I’ve tried before, and I also used Blades Linen from Calico Laine. 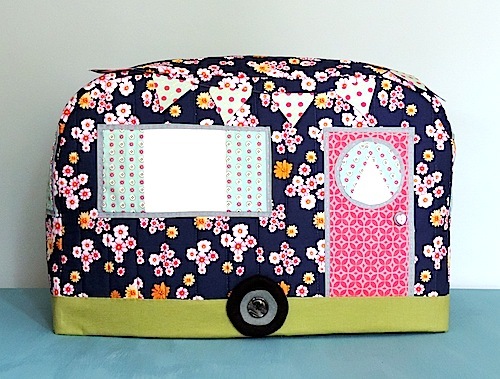 I get a LOT of questions concerned with changing the size of my Vintage Caravan Sewing Machine Cover so I decided to make a post, here, to suggest ways of doing this. The cover is free standing so I would suggest that it’s probably not worth the trouble of making adjustments for the odd inch (unless it’s too small of course). 1). If you want to make an adjustment of several inches, this is the easiest way. It does not involve changing the curve so the overall shape will change a little if you adjust the width or height. 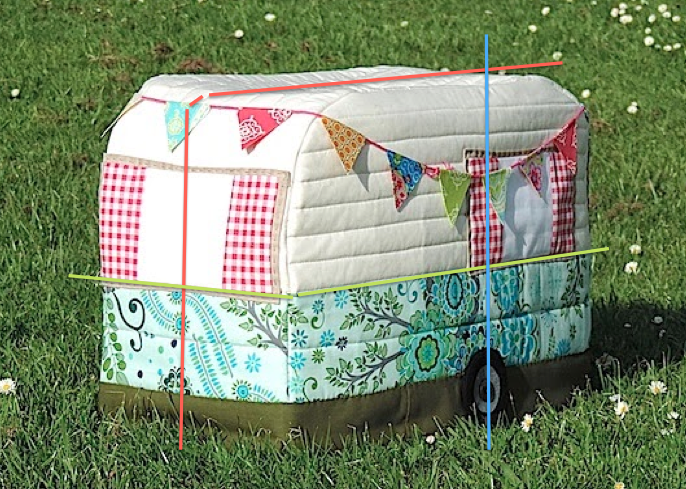 I have made a diagram showing the lines along which you can decrease or increase the dimensions of the pattern pieces to adjust the size of the finished cover. This photo indicates how the adjustment lines in the diagram above relate to the finished cover. I recommend you double check the pattern against your machine to make sure the cover is big enough. It will probably need to be a bit bigger than your machine because of the way the cover curves in at the top corners. If you choose this option you may need to adjust the sizes of your door and windows. 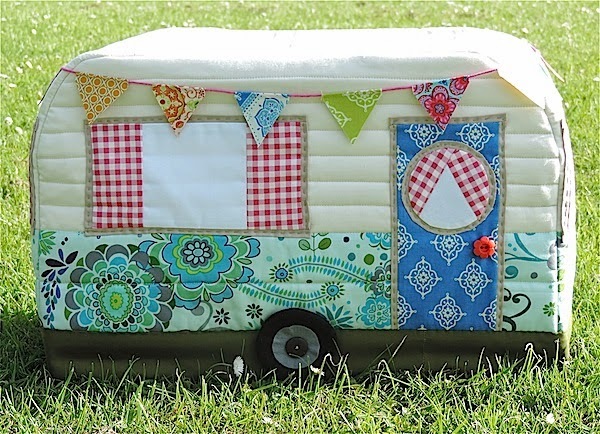 I suggest you complete Stage Two before cutting your door and windows fabric because then you will be able to see how much bigger/smaller you want to make the door and windows. 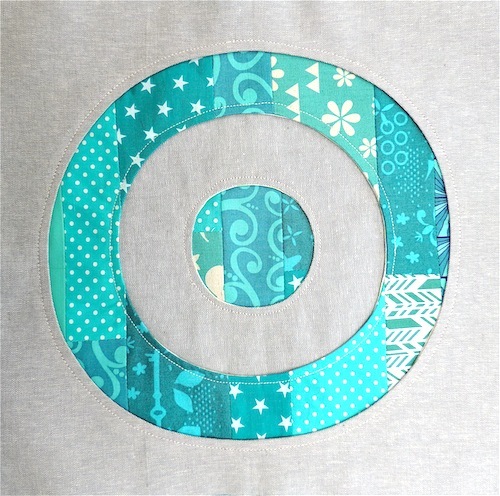 Don’t forget to allow for the 1/4″ seam allowance around the edges of your main cover pieces. 2). 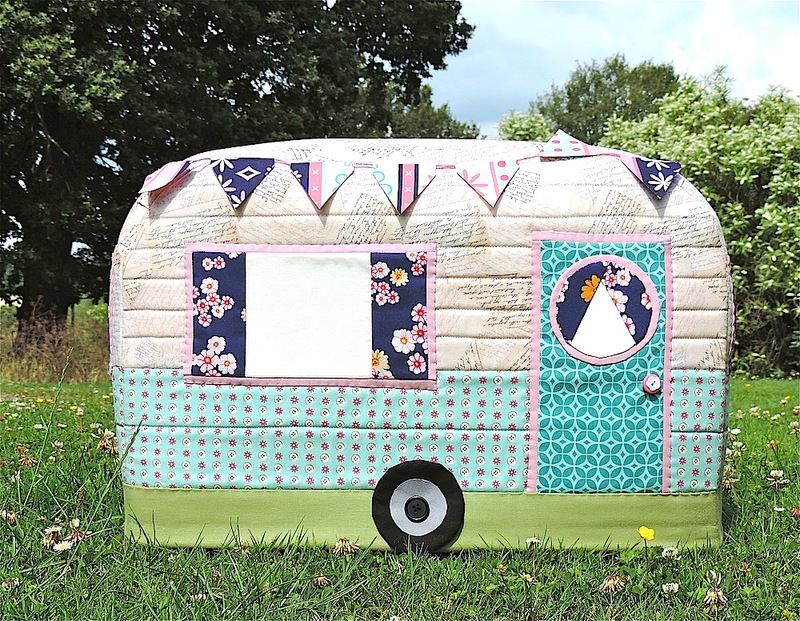 If you want to make a dramatic change in size, you can rescale the pattern pieces using your printer – for example scale to 50% to make a half size version. 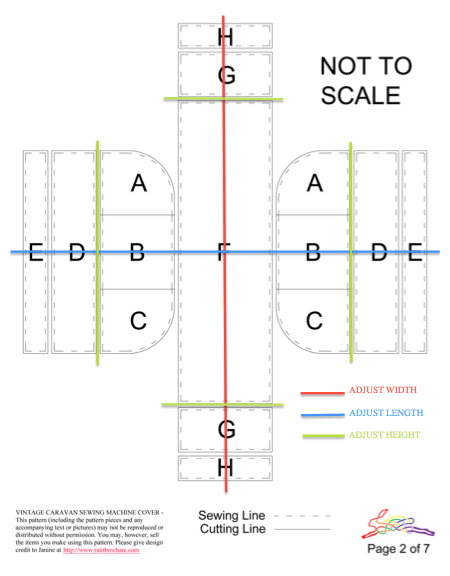 Warning: If you choose this option, you will have to redraw all the seam allowances at 1/4″ and you will also have work out the sizes of the pieces that are given as measurements and do not have templates.